Today’s Gospel is comprised of two short parables (vv. 1-5), followed by an allegorical interpretation. Most scholars agree that the parables are rooted in authentic sayings of Jesus that were fused together in the process of oral transmission by the church. In these verses, Jesus is represented as both the gate through which the sheep gain entrance to the sheepfold, and as the shepherd who knows and is known by the sheep. As the gate, Jesus is the way all who would be saved must pass through. As the shepherd who knows his own, he is the leader whom all who recognize his voice, and accept him as God’s Son and their Savior, will follow. 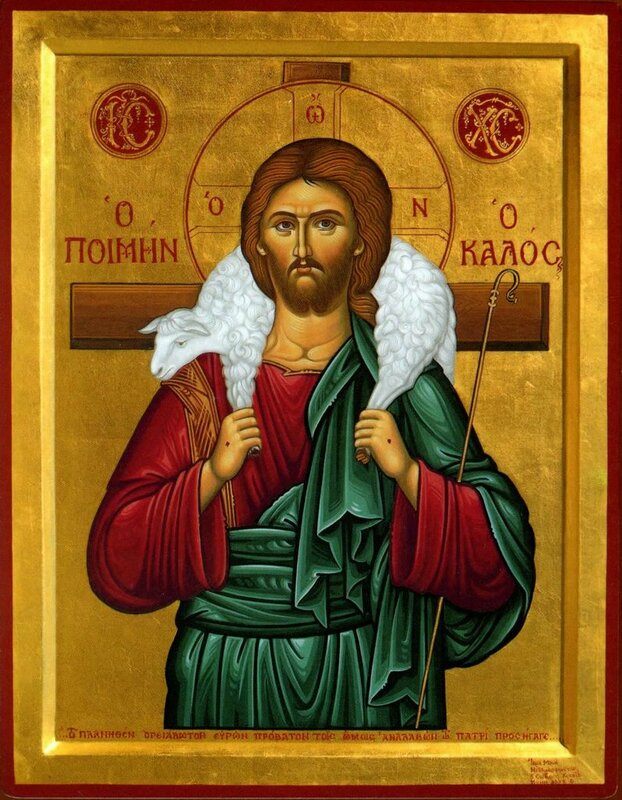 From the earliest centuries, Christian iconography delighted in the theme of the good shepherd But the imagery of Jesus as the good shepherd “cannot be reduced just to the warmth and glow of some mosaic or a stained glass window such as greets us at the front door of our church. Jesus’ claim on the title of the Good Shepherd should be appreciated against the backdrop of Israel’s failed shepherd kings. “For the shepherds are stupid,” said Jeremiah (10:11), “and all their flock is scattered.” “Woe to the shepherds who destroy and scatter the sheep of my pasture, says the Lord” (Jer 23:1). No prophetic indictment is as harsh as this one delivered by Ezekiel: “Woe to the shepherds of Israel who have been pasturing themselves! Should not shepherds pasture the flock? You consumed milk, wore wool, and slaughtered fatlings. … You did not strengthen the weak nor heal the sick nor bind up the injured. You did not bring back the stray or seek the lost. … So they were scattered … No one looked after them” (Ezek 34:2-6). Having established the sad plight of a people without a worthy leader, the Lord went on to promise, “I myself will look after and tend my sheep” (Ezek 36:11). This promise took on flesh and blood in the person of Jesus, who knows each person intimately, who calls us by name, who heals and protects us and seeks us out when we have strayed or become lost. It is in Jesus and through baptism into his dying and rising that believers find the way to God. Jesus’ example challenges all who lead and care for others to model themselves after him, the Shepherd who defines what it means to be good. This day we focus our attention on our Good Mother’s…I am so blessed to have good mother whose voice as lead me to be much of who I am today. She to this day is a blessing to me as mother and trusted friend who voice I still listen to this day…I still say yes Ma’me when she speaks. But I have had many Good Leaders and voice that have lead me, my father, priests and deacons, teachers, coaches and friends, who have lead me by their voices of goodness and love. On this Good Shepherd Sunday, let us listen to the voice of Jesus above all who lead us through the sheep gate to pastures of safety and repose. ← Fr Jim Homily for 3 Sunday of Easter. On the way to Emmaus.